How Far is Priya VSR Paradise? 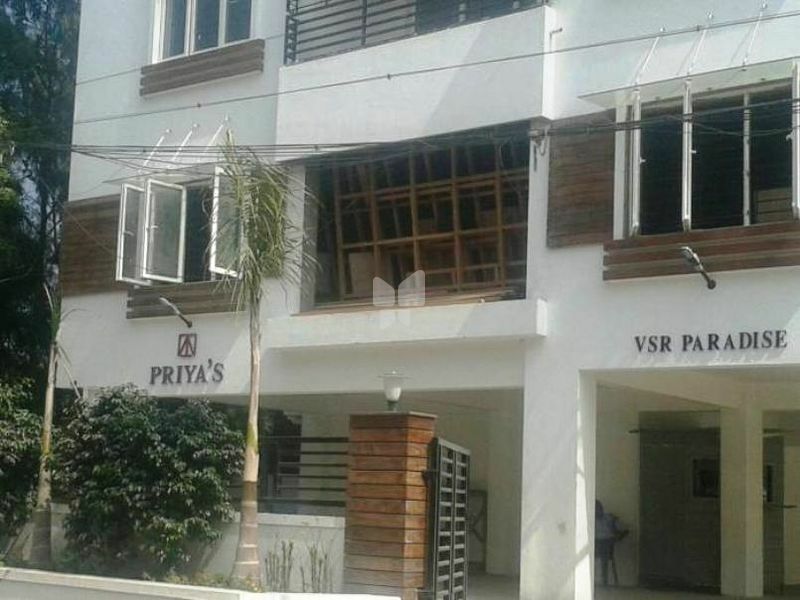 Priya VSR Paradise Phase II is one of the completed residential apartments by Priya Constructions located at Thoraipakkam, Chennai. The project is thoughtfully designed with modern day amenities to cater the needs of the residents. It offers options of 2BHK and 3BHK ranging from 1400-1900 sq. ft.
R. C. C. Framed structure on columns, beams and slabs supported on independent foundations. Ornamental teak wood door for main door with teak wood frame and other doors shall be Kutty's flush door or its equivalent. with teak wood / padauk frame with enamel finish. Wooden Windows â€“ Frame and shutters â€“ Teak Wood or Paduak or UPVC sound proof Window. Brick work in cement mortar, plastered on both sides and painted with putty finished walls for interior. One Coat of Primer and 2 Coats of Emulsion for Exterior as per the Architectâ€™s choice of colours. Ample space provided in Bed Room. Vitrified tiles (24â€� x 24â€�) in all the rooms. with necessary spout and overhead shower arrangements. Two Fan Points, Four Wall Points. Two 5 Amps point and One Call Bell. Two Light Point, Two 5 Amps, One 15 Amps and One Exhaust fan Point. Two Light Point, One Geyser Point control from outside the Bathroom. Three Phase Electrical Supply with independent Meters.